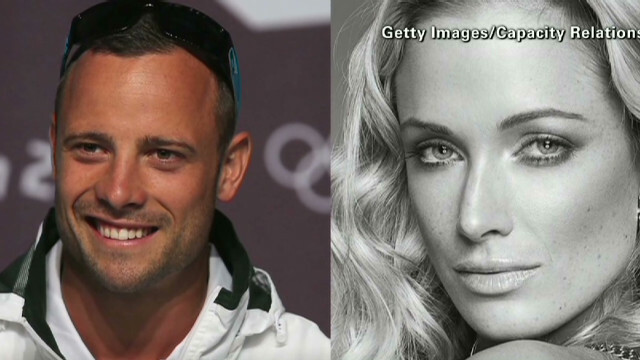 • Oscar Pistorius says girlfriend's death unintentional: "Track star Oscar Pistorius killed his girlfriend accidentally, mistaking her for an intruder in the pitch dark of his home, he told a judge in a statement read by his attorney during his bail hearing Tuesday." • Sandy Hook shooter tried to emulate Norway massacre: "The shooting spree at Sandy Hook Elementary School may have been motivated by a desire by Adam Lanza to outdo Anders Behring Breivik, the Norwegian man who killed 77 people in July 2011, law enforcement sources told CBS Evening News." • Obama to deliver remarks about sequestration: "President Barack Obama will deliver remarks Tuesday morning urging action to avoid the automatic across-the-board budget cuts called the sequester, a White House official said." • Chinese military engaged in 'extensive cyber espionage campaign': "An American cybersecurity firm has linked one of the world's most prolific groups of computer hackers to the Chinese government, saying in a new report that an extensive cyber-espionage campaign is being waged from a location near Shanghai." • $50M in diamonds stolen in 3 minutes: "Eight masked thieves stole $50 million in rough and polished diamonds in a lightning-fast heist Monday at Brussels Airport, the Antwerp World Diamond Centre said Tuesday." You want more firearms, you get more of this. As painful and tragic as this whole saga is, I think we should give Oscar a chance and not come to conclusions and allow him to be innocent till proven guilty. I personally find it hard to believe that someone who has worked hard all his life, faced with so many adversities in life would throw it all away so carelessly. You need to look in the eyes to discern these things, I don't see blank or cruelty in his eyes. I pray that the truth will emerge as I pray for the family of Reeva. I really admire and share Pierce Morgan's insistence on better gun control laws. Whether Lanza or Pistorius, whether pre-meditated or roid range, the common regret is that innocent lives are brutally ended. And then again each story ends with the "killer was mentally unstable." So is the new analogy killer equals mental illness as homicide equals a vent for psychiatric relief?